With Public and Private Sectors at Odds, Traffickers Win. Let’s Work Together to Protect Victims. The world’s workforce has never been more mobile - from the gardener in California to the banker in Singapore. Whether it’s the dishwasher in Rome or the designer in London, we recognize human ambition is on the move; everyone – skilled or unskilled, with work permits or without – is seeking an identical goal: how to deploy their talents in those markets that reward them best. Simple economics trigger those journeys that start with a dream of a better life and can result in enormous collective benefits for countries of both origin and destination when done in a safe and orderly way. 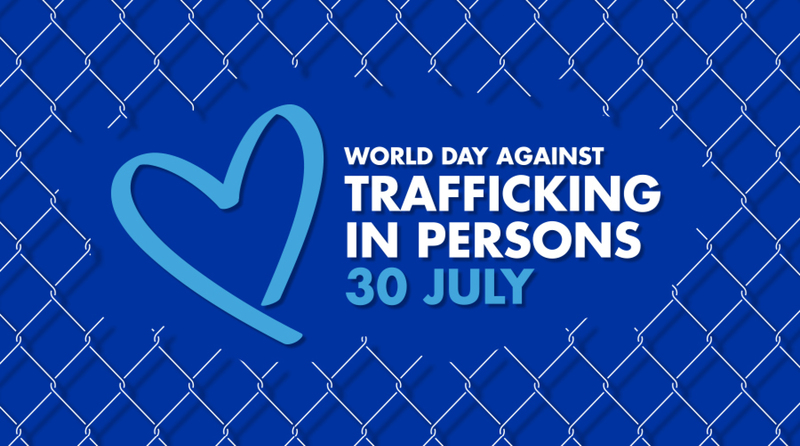 But as we mark the World Day against Trafficking in Persons, we also are reminded, sadly, that migrants are too often exposed to disproportionate risks of exploitation and abuse when looking for better employment opportunities away from home. Every year, millions of migrants are trafficked within and across borders and find themselves trapped in forced labour. In some cases, men and women are coerced into work, enduring violence, threats or psychological manipulation. Often, they find themselves indebted via unfair recruitment processes or employment conditions, all the while facing enormous pressures from their families and communities who may have gone into debt themselves, just to start their job search. Other forms of exploitation are only slightly more benign – having to toil under dangerous conditions, settling for menial wages, facing hidden deductions and unreasonable restrictions during both work and non-work hours. These abuses, too, harm migrants and violate their rights. These types of abuse can occur all along an industry’s supply chain and can be easily concealed among layers of sub-contractors. As consumers, while constantly looking for low-cost goods and cheaper services, we are obligated to consider the workers who make the products we desire and the services we need. Trafficking in persons exists today in every country and every economic sector. Whether the business is coffee, clothing or construction, this much is clear: no workplace or community is immune to human trafficking. It is so pervasive it can only be tackled with a global, all-hands approach. Consumers, especially, must join their governments, their local business community and work together to demand that decent work standards are met. We must all insist that supply chains are free from human trafficking and other forms of exploitation. We are already seeing signs of change. A growing number of companies are taking action in their supply chains; more governments are developing new policies and regulatory mechanisms for greater business accountability. Civil society also plays a critical role in advocating for migrants’ rights and ensuring they have access to the protection and assistance services they need. One famous example: as recently as 2015 the world became aware of widespread abuse of workers in Southeast Asia fishing grounds. Hundreds of workers laboured in virtual slavery. Governments often lacked the means to enforce protection norms, which many employers learned to ignore. That is beginning to change. Consumers and large retailers, aware of the negative impact of supply chain abuse, now demand more transparency. And so do governments, passing new laws requiring greater accountability from the multinational merchants that market seafood. While these positive trends are encouraging, much more needs to be done. Today, I will focus on a key challenge, which I see as the next frontier in supply chain engagement: mobilizing the private sector to ensure that migrants who have been wronged receive the remedy and justice they deserve. Beyond strengthening their due diligence, companies can and must take responsibility for harm perpetrated against their workers and ensure that all possible steps are taken to assist victims of trafficking in their recovery – which they can do by working closely with governments, civil society organizations, international organizations, and the victims themselves. States bear the primary responsibility to address human trafficking and protect trafficked victims. By establishing stronger connections between private sector and public efforts to help victims of trafficking, together we can do the work of rebuilding broken lives. Earlier this year IOM, the UN Migration Agency, launched a set of practical guidelines for companies to address this challenge. In line with the United Nations’ “Protect, Respect, and Remedy” Framework, IOM’s Remediation Guidelines describe the many avenues that businesses can take to offer remediation to victims of exploitation, in partnership with local State and non-State actors. These routes include facilitating access to victim services and support systems such as medical or psychosocial care; relocating victims to new job environments; offering voluntary return to countries of origin; support for recovery, rehabilitation, and reintegration where possible. Businesses should also ensure they have established feedback loops so that they can continually improve reporting mechanisms, protection for whistle-blowers, and prevention of further harm. More and more companies are coming together to address the risks they face in supply chains, but remediation for victims of trafficking remains a new area of work for the private sector. We must therefore redouble our efforts to ensure that support for victims of trafficking becomes a key pillar in our work. IOM’s Remediation Guidelines for Victims of Human Trafficking in Extended Mineral Supply Chains can be accessed here.